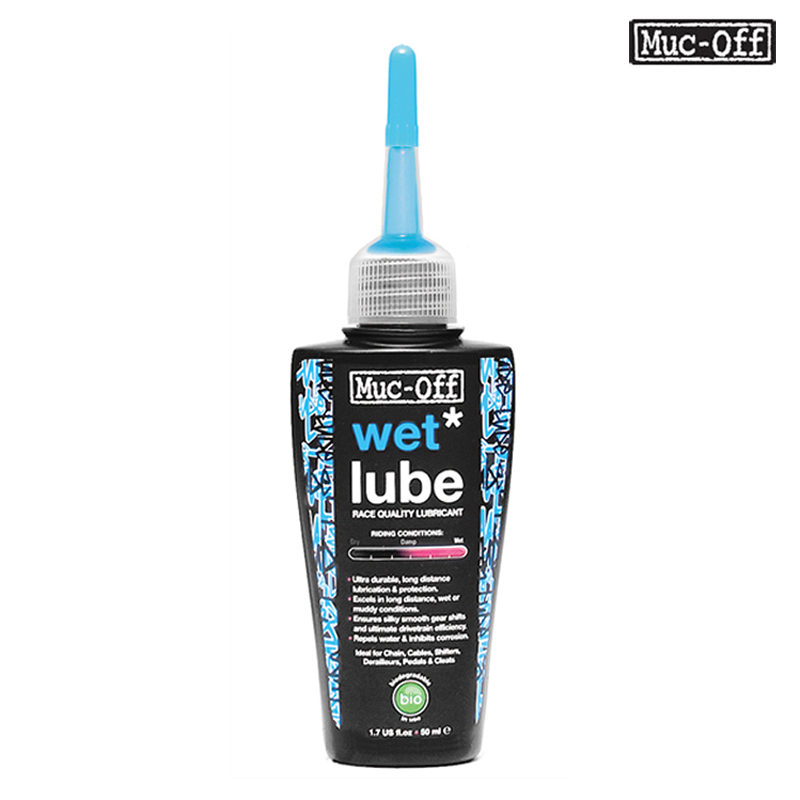 Muc Off Wet Lube is an ultra durable, long distance bicycle chain and component lubricant. It's specifically formulated to excel in long distance wet or muddy conditions. Our state of the art, naturally derived formula penetrates deep into the chain links core to provide long lasting lubrication and total protection. Our integral 'Extreme Pressure Additives' coat every part of the link to provide a silky smooth gear change and ultra efficient drivetrain.